So you decided to try your hand at online marketing but don’t know where to start. That is just fine I am here to help. Rule one is don’t fall for the get rich quick schemes or the click button ones either. Instead know that it will take some work, but I will be happy to help you along the way. One of the first things you need to do when starting an online business is to find a niche market. This is very important when beginning as it will be what you are focusing your efforts on over the next few months to years. When looking for a niche to start an online business you need to find something you are passionate about or want to learn more about. Again you will be writing an awful lot about this niche in order to gain rankings within Google and drive traffic to your website. Choosing your niche is the first block in building this business. If you are passionate about it, then it makes things much easier. It can take anywhere from a few months to a year for your new site to have built enough clout with Google to get a solid stream of traffic. Don’t get me wrong you can and will start to get traffic within a few weeks of starting. But it does take time to get that all important ranking. How many searches per month? Well now that you found your passion, the next thing is to find out if there is enough people searching for your passion for you to make money. Otherwise your new business might not really be a business in the long run, but instead just a hobby. There is nothing wrong with a hobby and it might even make you a little money, but I want to focus on finding a niche that will be profitable. So focus on the big picture first. This is your main keyword and will be very broad For example maybe I will search for cats. If you put that search term in a keyword tool you would find that in any given month there are over 1 million searches a month. Now wait a minute that does not mean jump in with both feet. You may also notice that there are over 440 competing websites that are keyed in for those exact terms. Since this is a new business at least we know people are searching for things to do with cats. We need to narrow it down a bit. Maybe we focus on cat breeds, or how to properly raise a cat. You need to figure out exactly what works. We call this drilling down. You can focus on many micro niches within your website, that is not a problem. Now if you have come this far and found out there is not enough of a market to sell to, then start again. I would even suggest to look at magazines that cater to your chosen niche. Not only will it give you ideas but if there is a magazine about your chosen subject, chances are that there is a big enough market. What should you focus on at first? What you want to find is a niche that will bring you some good traffic, anything more than 20 visits a month, and that does not have a lot of competition. One of the biggest mistakes when choosing a niche and keywords that a new person makes is they focus on the high competition keywords at first. Then they get frustrated because they do not get any traffic to the site. The reason is they just can’t rank for those keywords until they have proven to Google that they have consistent and quality content. So pick all those little micro niches where you will get traffic of 20 or more per month. I know that doesn’t seem like much but what you are doing is building a foundation to succeed. If you have 20 pages after the first month and each page has low competition keywords or niches with traffic of over 20 per month you suddenly have over 400 people coming to your website. It adds up. Then once you start gaining some authority with Google you can start attacking those higher competition keywords and drive even more traffic to your site. Now you think you are ready to go rule the world in your chosen niche. Still there is a lot to do. You need to look at who your audience is. What they like why they are searching the internet for these niches. If you don’t understand your audience you will never connect with them. Without connecting with them it will be very difficult to sell them anything at any time. So learn about your audience. If it is children make sure you write in a way that is entertaining and understandable for them. If it is recently divorced men that have a fascination for cats so be it. Get inside their head. Figure out what problems they are having and find solutions to those problems. The more solutions you find for their problems, the more you will be able to sell to them what they want. Finding a good niche is essential to building an online business. It is important that you hold the information dear to your heart. If you are passionate about it then it will be much easier for you to be successful. You need to research your niche. Find ones that make it easier to rank in Google for that will also drive traffic to your website. Don’t aim for the high competition words as you will get burnt out because you will not get traffic. Finally you need to know your audience and write to their level. Build the relationship with your reader and help them as much as you can. Find solutions to their problems where possible. Your readers will love you for it and will want to keep coming back for more. If you have any comments, questions, or something else you feel I may have left out, please leave it below and I will be happy to respond. I enjoy your comments. Good job on your site! Thanks for the comment. Let me know if there is anything I can help you with at anytime. I would be happy to help out. Great article on how to find a niche market for a beginner! Comprehensive information on the subject. Must read for everyone who is just starting out in the online world. Do you have some program to recommend for beginners? If you are serious about it. I would be more than happy to help you. Hey Marc, great article you have here. It’s important to find a good niche and not go too broad. And follow your passion as well! Thank you for the comment. Many people want to follow their passion but many times it is too broad of niche or there is not a market for it. You should really do your research first. Not hard to do but if your passionate about your niche you will be more likely to follow through with it until it is a business. Then as the saying goes you will never work a day in your life. Hey Marc, I feel like finding a niche and the right keywords are the keys to success with affiliate marketing. You give some great tips about how to go about this. Without a doubt WA is the best place for this type of training. It can actually be a fun experience finding a niche. It is a very important part of building a business. 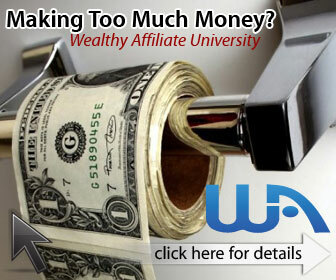 And Yes Wealthy Affiliates is a great place to find additional training and the best part is you can join as a free member and get all kinds of training. Great post on finding the right niche for beginners. You have shared a number of great tips over here and I certainly think they are very useful indeed. I f one need to know where to start to find a good niche, this post will prove to be a valuable one. Thank you for sharing. Thank you for your kinds words. Let me know if there is anything in the future you would like me to make a post on or anything I can help you with. Many people try to shoot for the moon before they can even crawl. Of course then they think they failed. When the reality is you need traffic to get traffic. So you need to start with the low hanging fruit, as you said to build that traffic. Then later go for the big boom once you have built some credibility with the search engines. Thanks for the comment and letting other people know about the site. Hi Marc – Very good advice on finding your niche and why it’s so important for one’s success! The writing does come easier when you are absolutely passionate about your topic and how you can help others. Great Advice! Thank you for the comment. It really is about finding something you love and sharing with the world. The more people you help the more you will become accomplished. Finding your niche is just one of the ways to build a healthy business online. One thing to remember is that it takes time to build this up.